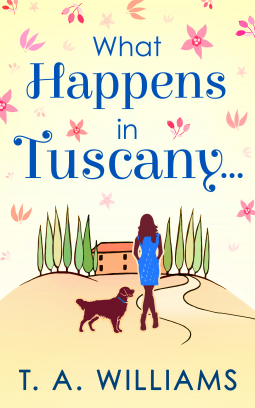 What Happens in the Alps is a sweet contemporary romance set in the Italian Alps, featuring English characters living and working as ex-pats in Italy. The female protagonist, Annie, is an English teacher. Her friends and love interests, Italian and British, are in the hotel business or working as a translator. Annie has lots of friends looking out for her, which is lucky, because setting up in a foreign country, and for Annie and a friend of hers, in a new town, is very difficult. Her friends help smooth her way, all the way to her discovering a loving life partner. At thirty-six she knew she wasn't looking for a casual affair. She wanted more. The author uses the classic omniscient narrative style, giving us insight into the characters' minds. The writing is skilled, smooth-flowing and well-edited. The characters are distinct and charming. Italophiles will not be disappointed. The author shows a strong knowledge of life in Italy and of Italian culture. The Italians settings and Italian characters feel quite real. All the characters feel sane and solid, especially the protagonists. They deserve their happiness in the end. This is escapist reading for romantic italophiles. The reader gets a front row view of how a relationship can change from friends to lovers to partners. The style is leisurely and chatty. This is a sweet romance for readers who enjoy vicarious adventures. 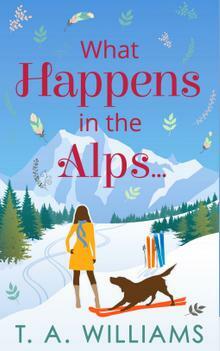 A sparkling romantic comedy guaranteed to beat the winter blues, What Happens in the Alps… is one story you don’t want miss in 2016! Please visit the author's website. The author has other books set in Italy. I've reviewed one here on this site: What Happens in Tuscany.